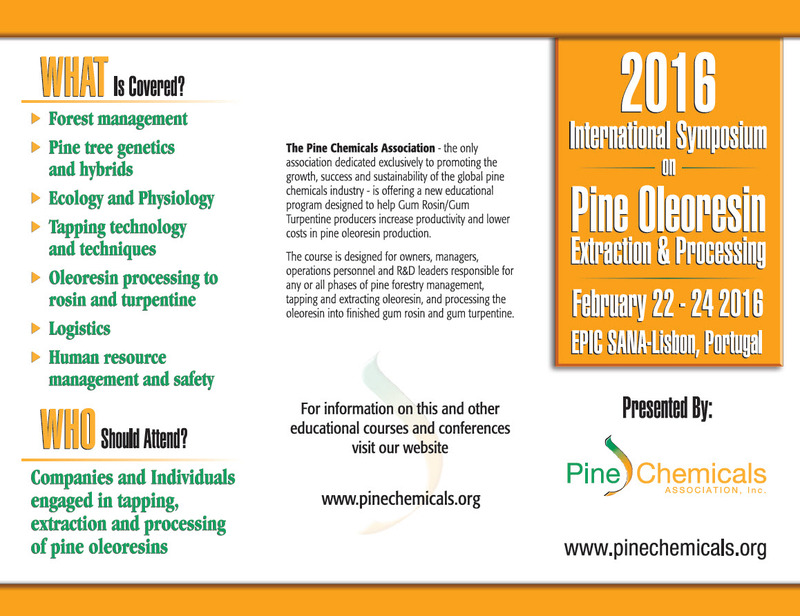 Register for the Pine Oleoresin Symposium by 31 December for a $100 savings! REGISTER BY 31 DECEMBER 2016 and SAVE $100! 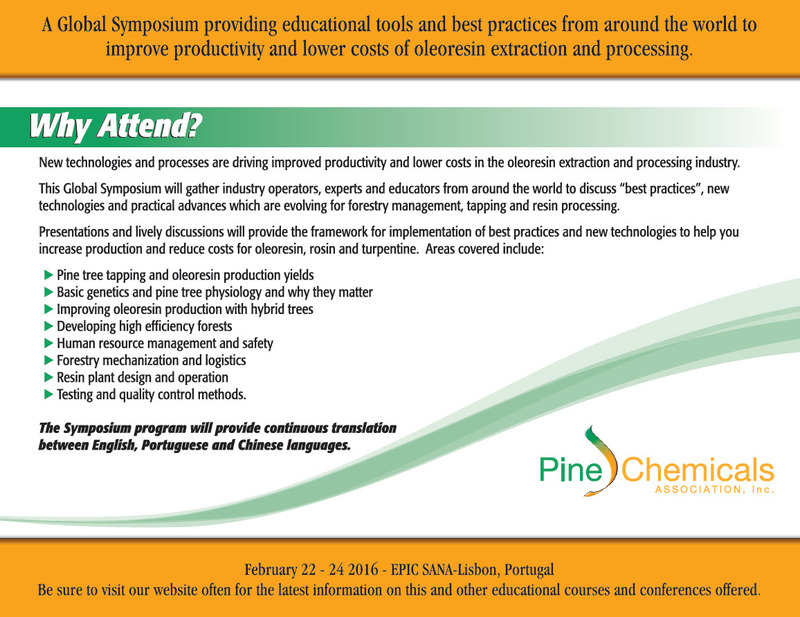 A Global Symposium providing educational tools and best practices from around the world to improve productivity and lower costs of pine oleoresin extraction and processing. COURSE OVERVIEW: This Global Symposium will gather industry operators, experts and educators from around the world to discuss "best practices", new technologies and practical advances which are evolving for forestry management, tapping and resin processing. Presentations and lively discussions will provide the framework for new technologies to help you increase production and reduce costs for oleoresin, rosin and turpentine. Registration for the course can be made online using this link or fax/email this form directly to PCA.